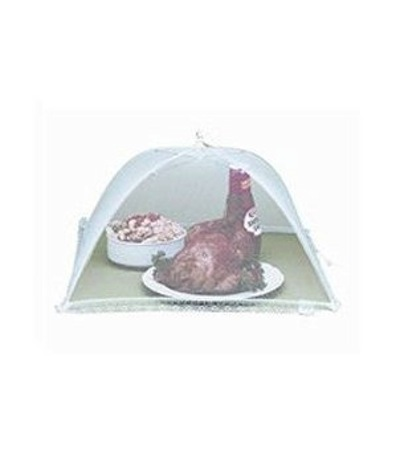 Keep this food tent handy for your next outdoor party! Made of fine hole nylon netting, it will keep the smallest pests off your food. Measures 13 sq inches. Sets up, and folds up easily. Includes reusable storage bag.